Office refurbishment to relocate 7 advertising agencies under one roof. Flexible open plan workspace, mobile meeting hubs and break out space. Staff social & play areas. Fast track fit out & design. 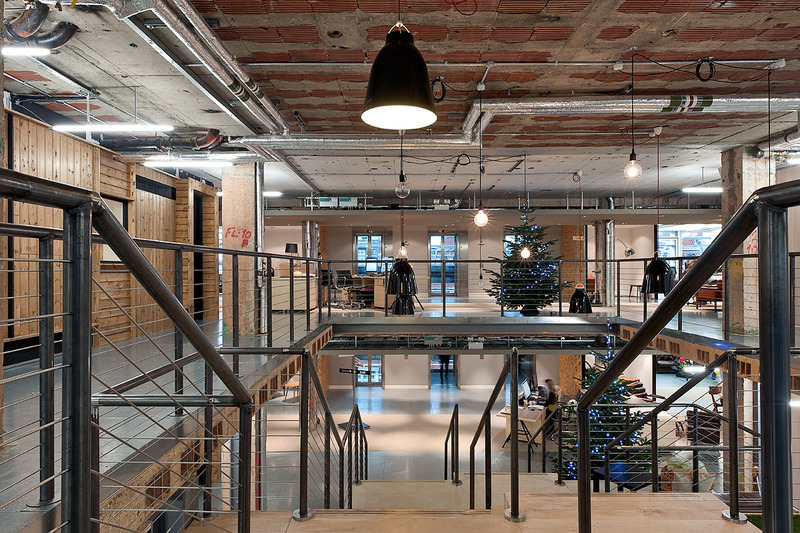 Exposed services & structure give the office an urban vibe.